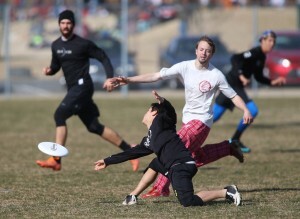 Last weekend, Darkside traveled to Charlotte to play in one of the first major tournaments of the spring season. QCTU was a major success, largely thanks to the tireless efforts of JD Hastings and Charlotte Ultimate, and teams from all across the nation made the trip to participate. Another thank you must be given to the Disc Store team, who made the long drive from Nebraska to provide swag for the tournament, and it was a pleasure meeting the guys behind Darkside’s jerseys! Darkside began the tournment well, and Saturday saw the team finish 4-0, with wins against New Hampshire, Wisconsin-Milwaukee, Alabama, and Iowa. On Sunday, Darkside got off to a good start, beating Luther handily in the quarterfinals, but the match-up with U-Mass in the semifinals proved to be much tougher. After giving up a few breaks early in the game, Darkside struggled to find a rythmn, and as such the game ended with Darkside losing 12-7. The loss was a disappointment for the team, but it is all part of the building process. 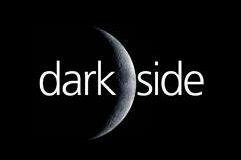 With Centex a little over a month away, Darkside will be back on the grind and looking to improve.